Being a blogger many times I have to fight for the payment method in India when customers are not ready for NEFT. In such cases, these best mobile wallets in India help a lot to get the payment and to pay someone. Recently, I was working with one client, and he was unable to make payment through bank transfer due to his personal issue and that time had to struggle to get payments and finally we settled at paying through MobiKwik. This post is all about the five best mobile wallets in India for online transactions. You can get your payment or even can pay to someone. I am using Paytm very frequently for transactions, and the process is quite smooth. So let’s start with the five best mobile wallets in India for payments and transactions. These mobile wallets have been developed taking care of users for smooth transactions and processing. You can easily add money to these mobile wallets and also can withdraw the money from these wallets. 5 Best Mobile Wallets in India- Transforming payment way! There are multiple mobile wallets operating in India, and almost all are doing well. You can use them as per your convenience and requirements. 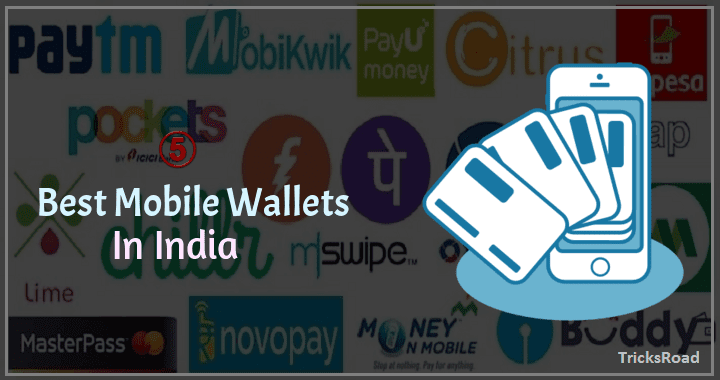 Here I have screened and listed the top 5 mobile wallets in India which is doing pretty good, are famous and solving the daily issue with cash. Needless to say, Paytm is the leading mobile wallet in India. It is now a semi-wallet kind of bank as they have already received the license for being a mobile bank from RBI. Now all the existing Paytm mobile wallet customers will be migrated to the Paytm mobile bank, and by this way, they have become the largest mobile bank as of now. Paytm has also experienced a growth of 300% in the mobile wallet segment after the demonetization announced on 8th Dec. 2016. The another reason for this massive growth of Paytm is, they are not just the mobile wallet but also a marketplace for recharge, tickets, air travel along with the e-commerce segment. You can buy the items from the e-commerce portal, use coupons, get discounts and cash backs and get that in the wallet. You can easily add money to your Paytm mobile wallet and can transfer to someone else just by using their mobile number. The process is just of single step and is being done in seconds. The monthly limit is INR 20k as set by RBI and if you want more capacity, just submit the KYC. Oxigen is another leading mobile wallet in India who has received the license from RBI to become the non-bank wallet. Oxigen wallet was started by Oxigen Services India Private Ltd. that was founded way back in 2004 by Pramod Saxena in a tie-up with Blue Label Telecom, which is a South African company, as a payment solutions provider. They have grown quite surprisingly recently especially after demonetization. More than 130k outlets across India are accepting payments through and more than 35 million transactions being conducted on a monthly basis. You can transfer money to your or anyone’s else Oxigen wallet using the phone number and to & fro transactions to banks are also very smooth. Unlike Paytm, Oxigen wallet is just a wallet, and so any user won’t get confused as everything is one the same portal and self-explanatory. Founded by Bipin Preet Singh and managed by MobiKwik Systems Private Limited, this online mobile wallet is rapidly growing at the very high rate. More than 250k merchants are using MobiKwik including Cafe Coffee Day, Pizza Hut, Dominos Pizza, Jabong, Snapdeal, Shopclues, etc. They are claiming to have over 40 Million customers, and they are also not the exception when it comes to growth after demonetization. The company has claimed to have a success rate of 90% which is recommendable. 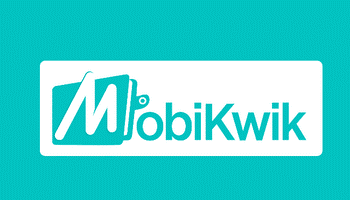 MobiKwik mobile wallet can be easily integrated with all the major platforms including Magneto, WordPress, etc. They have already received the prepaid payment instrument license from RBI and have applied for payment bank license from RBI. India’s largest telecommunication company also owns a mobile wallet in India and is known for setting up the first mobile bank. They have already received the payment bank license from RBI and is launched the mobile bank. You can do multiple other things like recharge, bill payment along with the wallet use with Airtel Money. You will also get exciting Airtel Offers on the transactions done using Airtel Money. You can do all recharges (mobile, DTH & Data Card), can pay bills (mobile, landline, electricity, Gas, Insurance, etc.) and do the online transactions on the single platform. As Airtel is already an established and reputed company and so the growth of Airtel Money is quite fast. PayU has launched an online mobile wallet with the name of PayUMoney which is getting accepted at around 100k websites for the payment. You can load money in your wallet using any means like a debit card, credit card or internet banking. Even the rewards earned on each PayUMoney transactions can be added to the wallet. Please note users receive a reward for each transaction and so are very beneficial. If you are a blogger, you should also use it for payment as this is also one of the best money saving tips for bloggers. A key feature offered is the PayUMoney Buyer Protection that ensures that you get the purchased product or service. If there will be any issue, their dispute team will jump quickly and will get it sorted. These were some of the best and top mobile wallets in India. You can use these mobile wallets for cashless transactions in India. Also, these companies run various offers on transactions and so you can get some cash back also on the money spent which is just additional perks. There are many more mobile wallets operated in India which you can also use. Some of those are as below. Which mobile wallet do you use for daily use and business purpose? I mainly use Paytm as is widely accepted.